Hudson's Bay has a Flash Sale today! 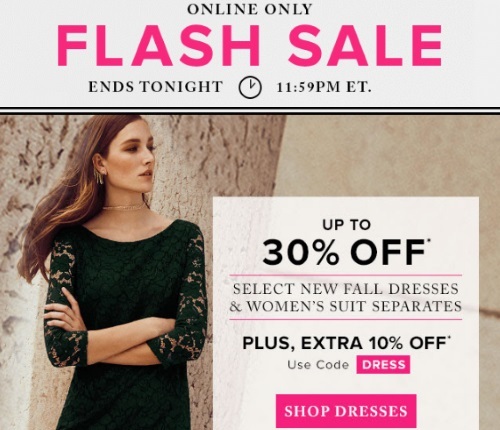 Save up To 30% Off Fall Dresses, Suits & Separates + Extra 10% off with the promo code below! Enter the promo code DRESS at checkout. Offer is online only through 11:59pm ET tonight, Sunday, October 2, 2016.